Magnolia x loebneri ‘Leonard Messel’ is an excellent choice for the magnolia-lover with a small space. A cross between the shrub-like M. stellata and the large tree M. kobus, this hybrid is a true, slow-growing intermediate. The delicate, elongated flower petals are more frost and moisture-resistant than the commonly used saucer magnolias. 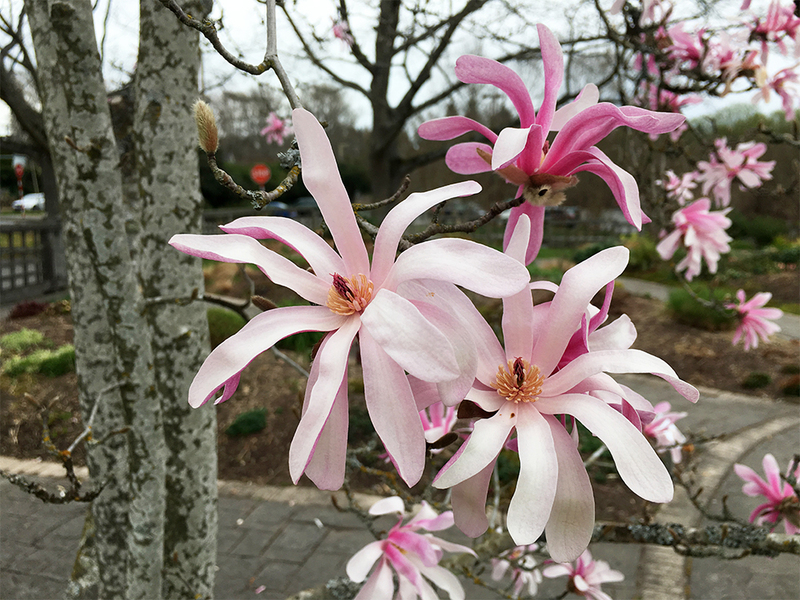 This magnolia’s spring show would really shine against a backdrop of evergreen shrubs, or underplanted with spring ephemerals.